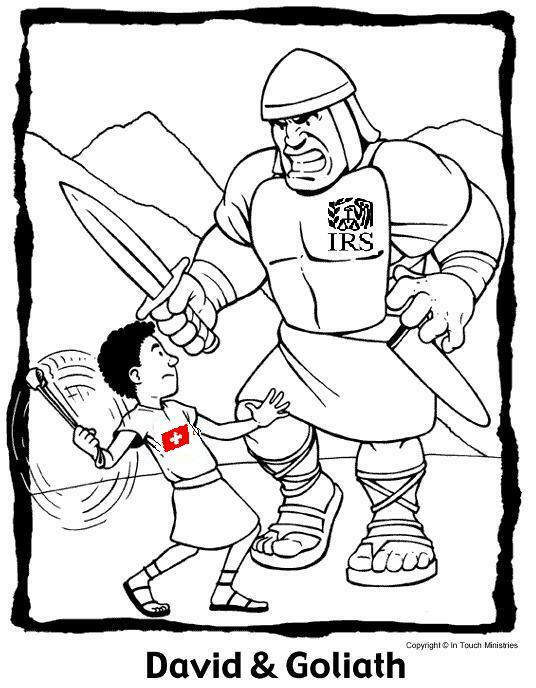 Can the David of Swiss Human Rights Withstand the Goliath of IRS Extraterritorial Tax Enforcement? Switzerland: is a “PR blunder” from DoJ compromising the chances of FATCA? And with this initiative, the DoJ has turned general mood sour. Besides, there are already voices that a popular referendum would start in case the Parliament accepted, which would automatically suspend the law until it goes to the vote… which means the law could not enter into force on 1st of January 2014. And of course, those who are untertaining that idea, are now getting exposure and feel they have acquired legitimacy. Had the DoJ kept a lower profile, none of this would have happened. Furthermore, when one is holding a gun, they should also be willing to shoot. Is the US Federal Government really willing to down banks with tens of thousands of small accounts, at the risk of creating not only a banking rush, but also a wave of panic and resentment throughout the rest of Europe — not unlike in Cyprus? I believe they did not contemplate for one second that things could ever go that far. Because we live in an upside-down world, Switzerland is being persecuted for being a productive, peaceful nation that has a strong human rights policy with regards to privacy. More specifically, politicians from high-tax nations resent the fact that investors flock to Switzerland to benefit from good policies, and they are pressuring the Swiss government to weaken that nation’s human rights laws so that governments with bad fiscal systems have an easier time of tracking and taxing flight capital. I’ve resigned myself to this happening for the simple reason that it is well nigh impossible for a small nation (even one as well-armed as Switzerland) to withstand the coercion when all the world’s big nations are trying to impose one-size-fits-all policies designed to make it easier to raise tax rates and expand the size and power of government. That was a good linkedin comment, wasn’t it? Thanks for re-posting it.